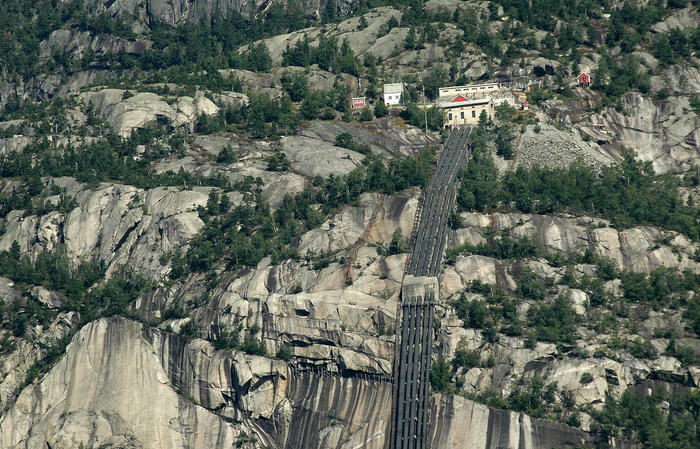 Knud Knudsen was born on the farm Bustetun in Odda in 1832. He studied horticulture in Germany and commerce in Bergen, but photography was Knudsen’s passion. Knud Knudsen liked to take pictures of everyday life situations. 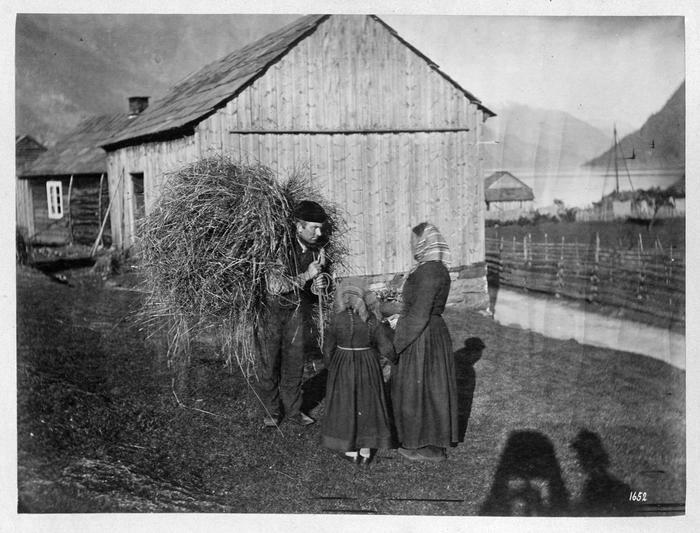 Here we can see his shadow while photographing a farmers family in Odda. In 1864 he opened his own photo studio in Bergen. Knudsen was an experimental photo artist. Knudsen did not always stay in Bergen at his studio. He liked to travel the countryside, documenting the age he lived in. The landscape, the people, the fruit harvest at his farm, the increasing tourism and the industrial development were some of his favourite motifs. He is bold and daring in his compositions, but he may also adhere to the romanticists’ conventions for composition. His landscapes are often studies of form, and he experimented with the effects of light and shadow. On the west coast he found his most interesting and exciting motifs. Here he found fjords, glaciers, mountains and waterfalls and by photographing this magnificent nature he displayed himself as the most important photo artist in Norway in the 19th century. 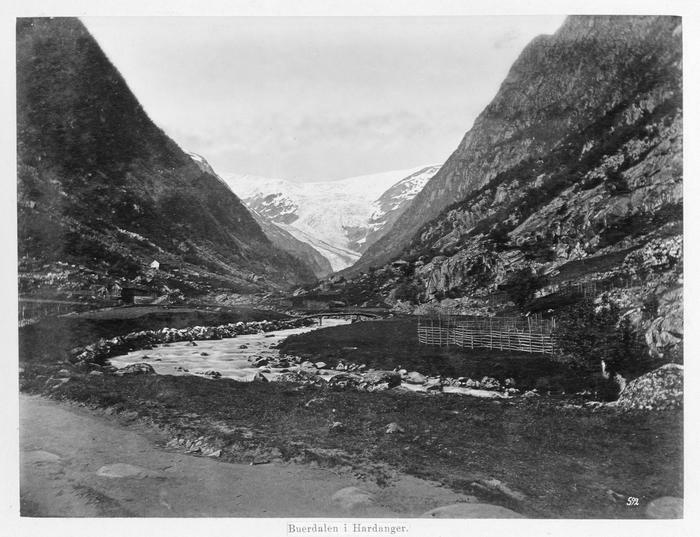 The glacier Buer in Odda. 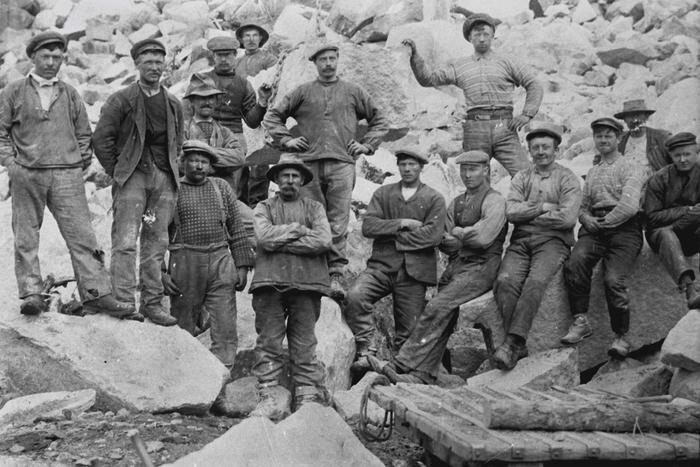 The Knud Knudsen photo archive holds some 15 000 different motifs from Norway, spanning some 40 years from 1860 until around 1900. At NVIM you will see a selection of his photographs. 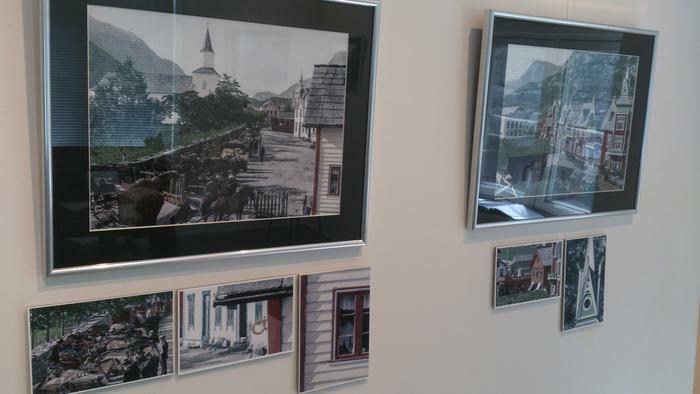 The pictures are taken in the Odda region, and represent various periods in Knudsen’s photo production. In this spesific exhibition you will be able to see more details in his pictures due to the fact that the local photogropher Arvid Aga has coloured some of them.